Traditional casinos had a lot of style back in the day. From dress codes to gorgeous cocktail waitresses, the casino environment was filled with excitement and beauty. The only downside was that people often needed to travel long distances to get in on the action. Specialized casino software and mobile capability have solved that problem, creating an online world of gambling where players can enjoy a spin on the roulette wheel or a few hands of blackjack for a little excitement of their own. Plus, you can gamble on-the-go, easily avoiding the need to be home when you play, clain bonuses, earn free spins, and pile up loyalty perks. Nearly everything has an app today, and casinos aren’t any different. Typically, you can find iOS apps as well as Android versions, giving you access to exactly what you need to get your tablet or smartphone connected to your favorite casino. Dedicated apps simplify the process of gaming on your mobile device. In fact, providers of casino software strive to make installing these apps as painless and instantaneous as possible. Although most apps tend to be user-friendly, you’ll quickly discover that they vary in what they have to offer. Some casino software companies design their apps with integration in mind, meaning that it is easy to switch gears and use your account at your desktop computer even though you were playing on your smartphone one day earlier. There’s never a need to move money from a mobile account to a computer one, simply because your deposits are readily accessible from both of them. Likewise, it is just as easy to pick a game because many software developers created apps offering dozens if not hundreds of games. You can even find live dealers to entertain you on your mobile devices. Some people prefer not to install an app for every single thing they do online. Fortunately, major software providers understand this scenario, and they’ve made it possible for casino members to access optimal playability through their browsers whether they are on a tablet or a smartphone. In fact, dedicated mobile versions offer highly stable performance and enhanced speed for all types of devices, including Android, iOS, and Windows systems. In addition to stability and speed, the in-browser experience is highly optimized for ease of use, user navigation, and performance, delivering everything needed to create a truly enjoyable and interactive experience. Choosing an incentive to play as soon as you join a casino can be as invigorating as it is enticing. The idea of getting free money just for signing up can be stimulating. Fortunately, loyalty perks keep the fun going all year long as active members earn a number of promotional bonuses simply for playing a few games at a highly rated mobile casino. Some mobile casinos offer special bonuses that can only be claimed by someone playing on-the-go. This is particularly true for online casinos trying to promote their mobile capabilities over their desktop versions. Many of these online gambling establishments offer a wide variety of perks ranging from welcome bonuses to match deposits refer-a-friend bonuses to loyalty points and perks. 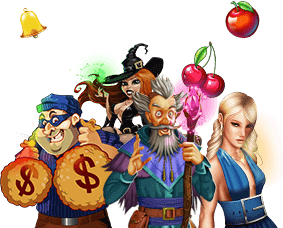 Welcome bonuses are offered at your initial sign up, and you must claim your offer before you begin to play. The details are usually easy to see, but you can also contact customer support to learn more. Match deposits are often offered on several deposits, ranging from your first to your third or fourth. Typically, you can receive a percentage match up to a certain value of money. Of course, you need to read the fine lines attached to this type of offer because the wagering requirement is often 20, 30, or 40 times your initial deposit. The refer-a-friend bonus provides a special perk if someone you refer to the mobile casino signs up and makes a deposit. Terms vary, depending on the casino you’ve chosen. With loyalty programs, players earn loyalty points and perks that are exchangeable for free or discounted services or gifts. Different conditions may apply to this type of promotional reward, making it extremely important to read through the terms attached to this perk. One of the nicest features attached to loyalty perks is that the reward offers you receive are typically chosen according to your style of play. For example, the mobile casino knows better than to offer you a perk on a game you never play. Instead, you may receive an offer to claim ten free spins on one of your favorite games. Better yet, mobile casinos strive to maintain their membership by offering continuous bonuses to their players in an attempt to entire them to come back repeatedly. Loyalty perks and VIP bonuses are sometimes designed specifically for on-the-go gaming, meaning that you cannot access these promotions playing on your desktop computer. As everyone knows, dishonest people troll the internet in search of easy access to someone’s personal banking information. Mobile casinos offer heavy security delivered through SSL encryption and firewalls, minimizing the risk of identity theft and fraud. It isn’t easy for anyone to steal your information unless you leave it out in the open somewhere. The encryption hides all of your details, protecting you from the bad guys. If you have a tablet or smartphone, accessing a casino on-the-go can be extremely exciting. You can play from any location and at any hour of the day or night. You have access to a large selection of mobile-friendly games, member perks and promotions, and as much fun as you can handle. You can even play for real money from your mobile device. Since you can access promotions from any location due to your on-the-go lifestyle of gaming, you have the opportunity to optimize your winnings by taking advantage of member perks, including match bonuses, free spins, loyalty offers, and ongoing jackpots.